Cologne - A model professional boasting a ten-year stint in the German national team, FC Bayern München captain and World Cup winner Philipp Lahm could be forgiven for not knowing what to do with himself during the international break. Rarely in his storied career has the veteran right-back been able to enjoy a two-week hiatus, but with the majority of the record titleholders’ squad currently representing their respective national teams, Lahm has been getting used to life away from the international circuit. 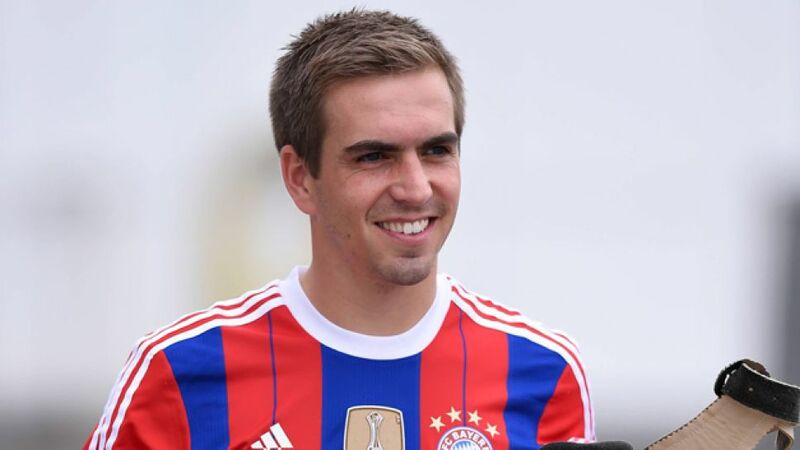 Having made his debut for the German national team on 18 February 2004, Lahm admitted in an interview with fcb.tv that it was an “unusual” feeling not to be involved. Including the time he spent in die Nationalmannschaft’s youth sides, it has been 15 years since the has been able to put his feet up during an international break. With 113 caps to his name, this is perhaps the first time Lahm has experienced an interruption of this kind during a competitive campaign. Whilst using the opportunity to take part in extra training sessions at FCB’s Säbener Straße training ground, the Munich-native has also spent time reflecting on Bayern’s start to the 2014/15 campaign. “We’re not content,” said Lahm in reference to his desire for the record titleholders to have six as opposed to four points on the board two games into the new season. “We’ve got to get back to playing the way we did in the first 20 or 30 minutes against Schalke for the entire 90 minutes.” Entering into a jam-packed phase of their early-season schedule, the 2013/14 champions will feature in seven competitive fixtures within a three-week timespan. Far from being a cause for concern, Lahm believes the current two-week break could prove to be a positive pre-cursor to the Matchday 3 encounter . “The international break is an advantage,” said the Bayern ace, who has not been unnerved by his side’s start to the 52nd Bundesliga campaign, despite things not quite going according to plan. “That’s normal early on,” claimed Lahm. Having Friday to Sunday off is certainly “a new situation” for the 30-year-old, who could probably count the times he’s been able to enjoy a full weekend in the last decade on one hand. “It’s a rarity here. Now I'm at home, let's see if my family can cope with me,” he joked. “We’ll make the most of the days off and soak up a bit of sun.” Few would argue the World Cup winner has earned it.